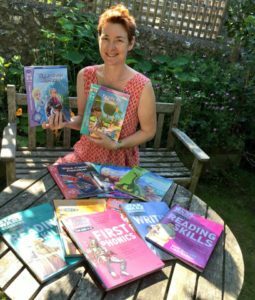 Emily Guille-Marrett launched Reading Fairy in 2014 with educationalist and writer Charlotte Raby after winning startup support from Kent County Council. Committed to helping every child get the best start for reading for life, they have been on a rapid journey ever since. 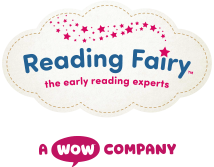 In 2015, Reading Fairy were finalists in the Startup of the Year category at the Mum and Working Awards and in 2016 they joined forces with the award-winning Baby Sensory team to spread the magic of Reading Fairy far and wide. Prior to Reading Fairy, Emily published books and software to help children learn to read for international publishing houses including: Oxford University Press, Pearson Education and Penguin Children’s Books (Ladybird). She has commissioned writers such as Julia Donaldson (author of The Gruffalo) and managed favourite character brands including Biff, Chip & Kipper and Topsy & Tim. Most recently, Emily has been seen reading aloud on ITV news, sharing books with royalty, blogging for Oxford Owl, consulting for Collins Education and helping the charity Book Trust with their #TimeToRead campaign. This year Emily has become the KM Media Charity’s first Literacy Ambassador – helping to make a real impact in her home county. Emily also lectures at Canterbury Christchurch University. You can follow her adventures juggling family life and business on Twitter @EmilyEatsBooks. As well as her educational expertise, Charlotte is passionate about children’s reading engagement. 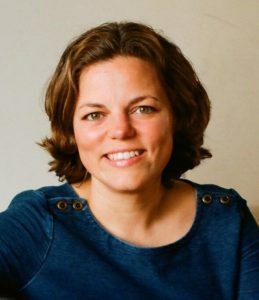 An expert in children’s literature she has previously been a children’s bibliotherapist at Alain de Botton’s School of Life. Her most recent publications include Disney activity books to support children’s literacy skills at home. And you can watch videos of Charlotte’s top tips for helping your child’s reading and writing at home on the Oxford Owl website. In 2016, Reading Fairy joined forces with the multiple award winning Baby Sensory group. 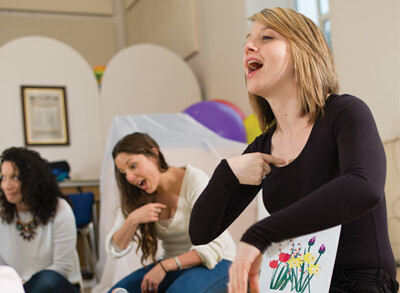 As new members of the Baby Sensory family, Emily and Charlotte are proud to be working closely with one of the UK’s leading sensory and childhood development specialists, Dr Lin Day, and her team to further develop the programme and help spread the magic of Reading Fairy around the world!